Despite being the second title in the Zone of the Enders series, the return of Jehuty is still fully enjoyable without any prior knowledge of the mech combat series that was once a brainchild of Hideo Kojima and Shuyo Murata. Perhaps the only primer you’ll need to hop back in and enjoy it is that Jehuty was once the prized possession of one Leo Steinbuck, who’s evolved from being a whiny brat from the first Zone of the Enders to piloting an orbital frame of his own based upon the Vic Viper of Gradius fame. Beyond that, the entire story of The 2nd Runner is enjoyable on its own merits and gives players about five hours of mech action and a story that wraps up nicely, although there are still threads left to explore with a Zone of the Enders 3 if Konami ever wants to finish the series. One of Zone of the Enders 2’s faults from its original release is in the length of its main campaign. Barely more than four hours, you’ll be able to see Dingo’s rise from being an average miner to that of the single best orbital frame pilot this side of Phobos. Along the journey, players will unlock new subweapons for Jehuty and level up in a very limited RPG fashion, both of which can be carried over into a new game+. Both the versus fighting mode and Zoradius, featuring Leo Steinbuck’s Vic Viper frame, are unlockable just as in the original PS2 release and still hold up as mediocre additions but neither were really of any interest to me back in the day either. Piloting Jehuty feels just as satisfying in 2018 as it did when Zone of the Enders: The 2nd Runner first launched on the PlayStation 2. The versatility of Dingo’s orbital frame to transition from close combat with a blade and jump from foe to foe before launching a long-range missile assault feels quite intuitive with the slightly revised Pro controls. Grabbing and using both environmental objects and other enemies is a lot easier now with the revised controls. There’s no more jumping around in menus to equip subweapons, as they’re neatly sorted with just a couple taps of the D-pad to swap to your weapon of choice. An HD remaster of an already existing HD remaster is a rather strange thing to see in 2018, but somehow Konami has accomplished it. Originally part of a two-game HD collection on PlayStation 3, the omission of the first Zone of the Enders title is lamentable, but it’s immediately clear that this new release of Zone of the Enders: The 2nd Runner wouldn’t be possible if they had to put in the same effort to redesigning the first Zone of the Enders to work in a VR headset. Konami’s dedication to recreating one of the greatest mech combat titles to ever grace a PlayStation goes above and beyond what players should come to expect from a simple remaster. Rather than simply upscaling the resolution or slapping on a few filters and calling it a day, Konami adds in one major change that should excite early adopters of the new VR tech: full support to play through the entire campaign of Zone of the Enders: The 2nd Runner – M∀RS from the comfort of a PSVR headset. With the camera nestled somewhere around Jehuty’s sternum, players are thrust right into the middle of the action and given the mercy to freely look about and target independently from their orbital frame. This can be quite handy for making the best use of Jehuty’s lock-on lasers or Phalanx machine gun but tread carefully: the quick motion can easily lead to some discomfort if you aren’t well-versed in VR simulations. At longer ranged encounters, the action is fine, but trying to keep track of your position and those of the enemies around you can be uncomfortable up close. Build within the central HUD is a tiny model of Jehuty, allowing you to orient yourself based on the direction its facing and also the same avoidance rings that surround the orbital frame and give you a quick indication of what direction attacks are coming from. 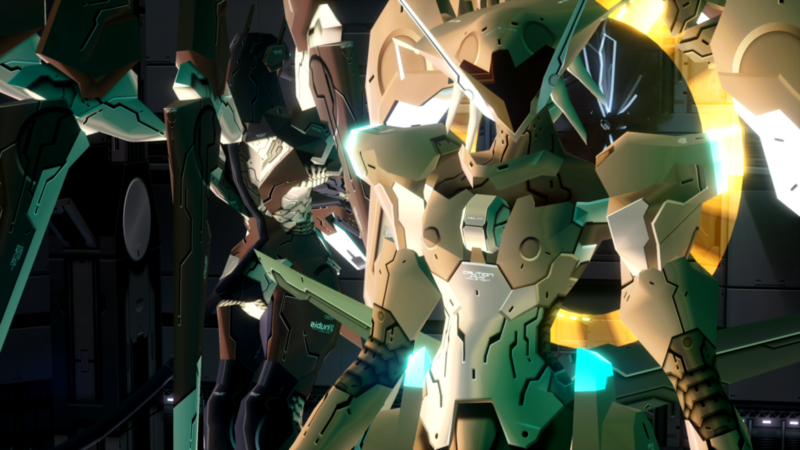 Compounding the discomfort stemming from playing Zone of the Enders: The 2nd Runner – M∀RS in PlayStation VR comes from the cutscenes themselves. For most of the theatre-style cutscenes, you’re watching a virtual screen within the headset rather than being inserted into the cutscenes themselves. This is perhaps one of the smartest moves Konami could have done with this approach, because the cutscenes are very, *very* disruptive to playing in VR. The incredibly low frame rate is dicey enough when watching them on an HDTV and can only lead to motion discomfort if you focus on them for too long. For how story heavy ZONE OF THE ENDERS can be, I highly recommend taking the headset off during the game’s numerous story exposition dumps and watch them on your TV instead. Sure, it may take the player out from the full VR immersion, but it was the only way I could manage my second playthrough of ZONE OF THE ENDERS: The 2nd Runner – M∀RS to check out the VR support. While the environments and orbital frame models look sharp, the animated cutscenes haven’t been given a similar treatment. 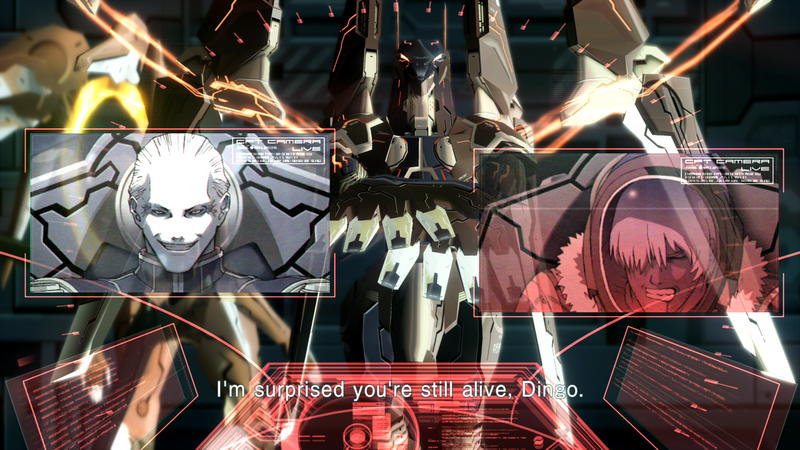 Much of The 2nd Runner’s story is told through letter-boxed cutscenes that look rather grainy on an HD display. Quite a lot of HD remasters that I’ve played seem to avoid trying to touch up pre-rendered or animated cutscenes, but I still had my hopes up that Konami would’ve revisited the 2D scenes to truly make Kazuma Kaneko’s character designs and Studio GONZO’s art shine through in 4K. 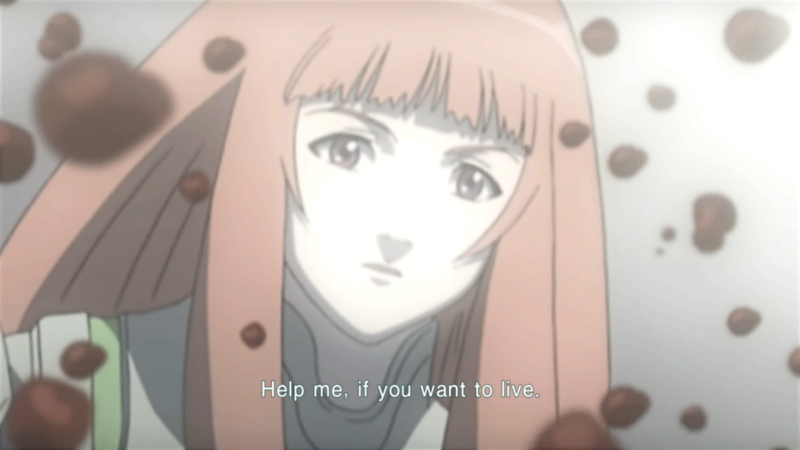 The cutscenes for Zone of the Enders: The 2nd Runner still hold up to this day, but the chance at higher fidelity is certainly missed. If you aren’t an adopter of the PlayStation VR quite yet, there might not be enough new content to justify a purchase of Zone of the Enders: The 2nd Runner for a third time beyond some sharp visuals and an updated control scheme. However, once you get that headset on, you can finally see the thrill of piloting an orbital frame for yourself, inertia and motion sickness included. Reviewed on PlayStation 4 with PlayStation VR support. Also available on PC with Oculus Rift and HTC Vive support. 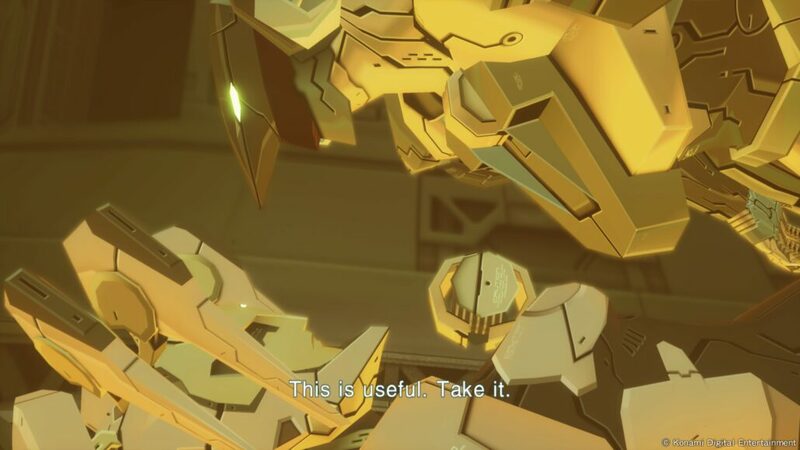 Zone of the Enders: The 2nd Runner - M∀RS is still one of the best mecha action games to grace any platform, although the decade and a half since its original release have caused Jehuty to lose some of its luster. While the native 4K60 and PSVR support is a great improvement, some other aspects of the game just feel out of date.